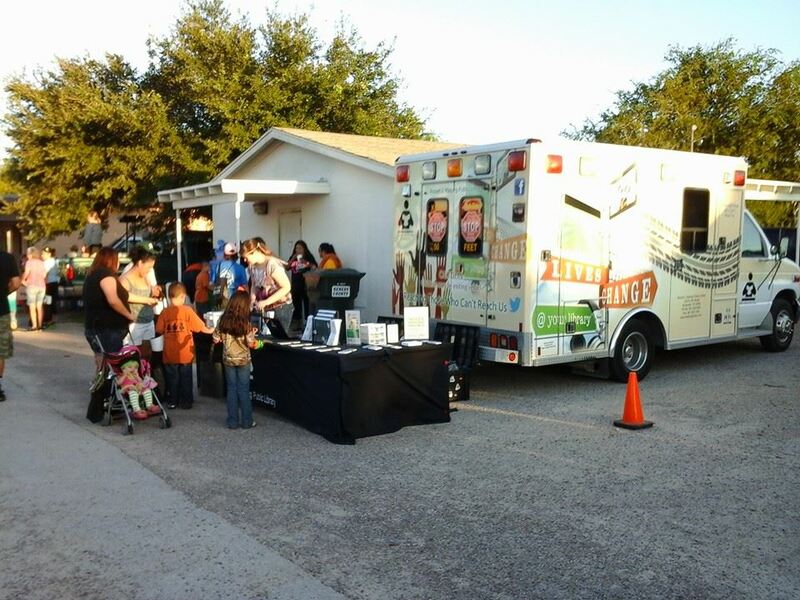 Pictured clockwise from top left: Library On The Go and Kleberg County Adult LIiteracy Council at CBC-Kingsville Community Fair; On The Go bookmobile at the Kleberg County EGGStravaganza; Students gathered for a group selfie by the Library On The Go at the Ricard PTO Fun Fest; Kenedy County Residents visiting the library On The Go bookmobile during National Night Out - Sarita. 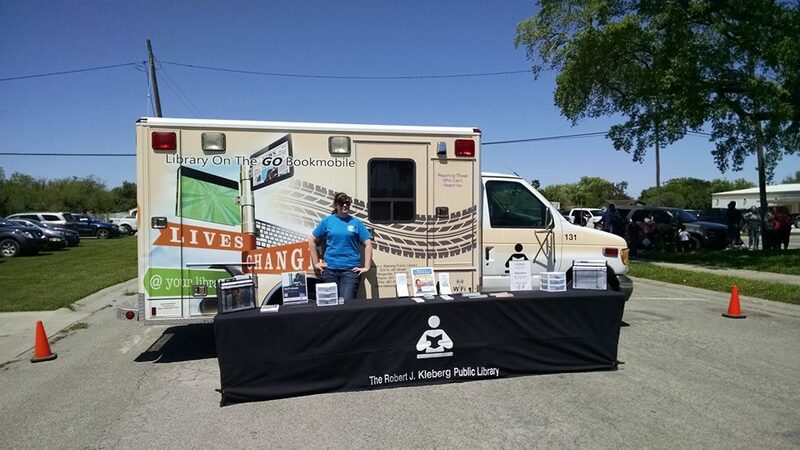 In 2012, the Robert J. Kleberg Public Library acquired a retired ambulance from the Kingsville Narcotics Task Force to be converted into a bookmobile. 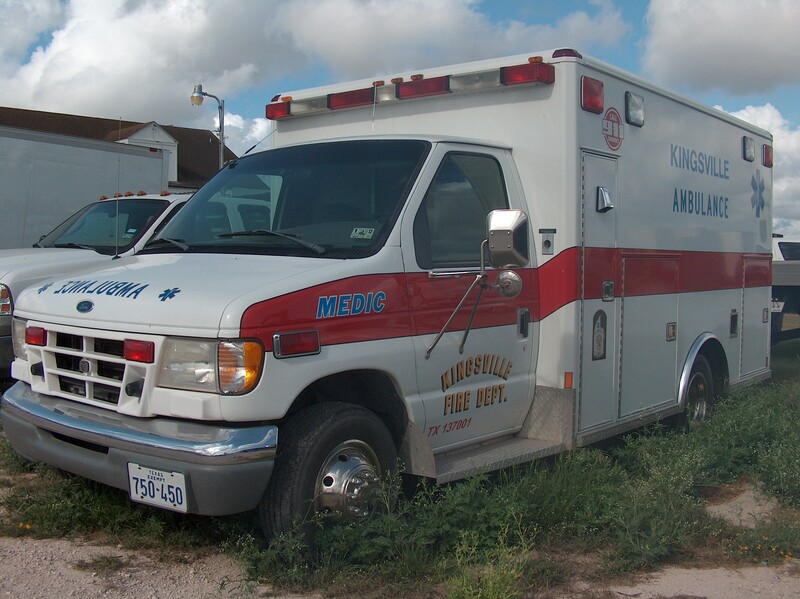 With the help of students from the Mechanical & Industiral Enegineering Department at Texas A&M University - Kingsville, the ambulance was gutted and retrofitted with shelves to house library materials and other resources. 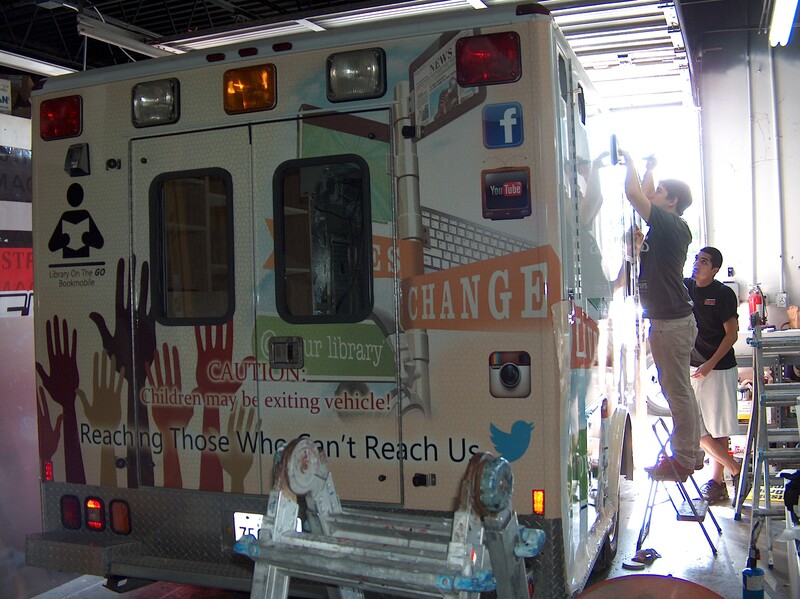 The ambulance began to take on the look of a bookmobile and in August 2014 after being wrapped with its vehicle graphics made its first official appearance at the 2014 KISD Community Fair. 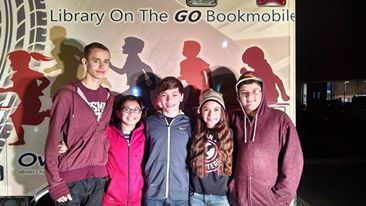 Since that time, the library On The Go bookmobile has made numerous appearances at area events and has helped spread the news about library services to hundreds of residents. 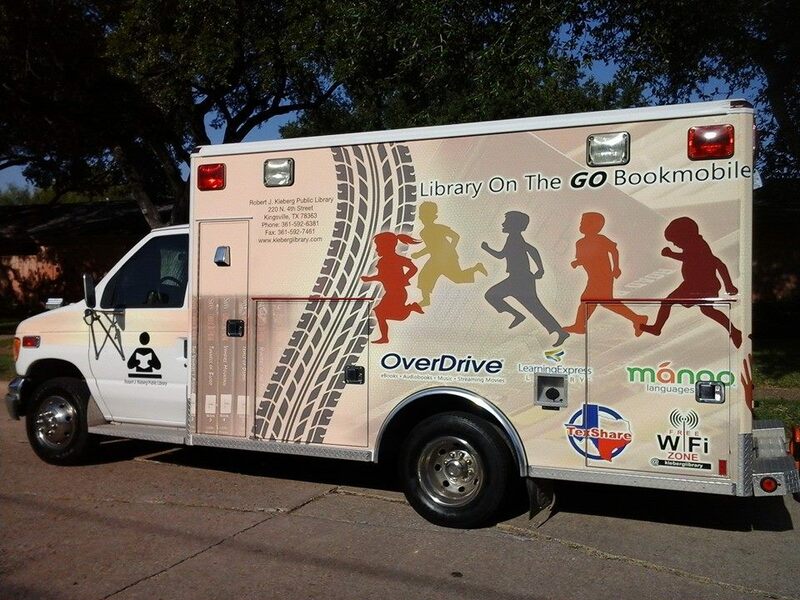 The library On The Go bookmobile, which has been in service since late 2014, currently serves as a transporation vehicle for library staff and materials, and as a mobile display for the events that it is called out to participate in. 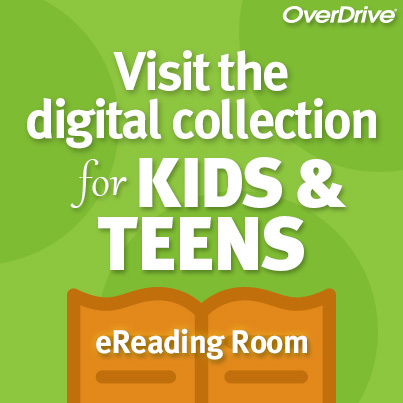 The vehicle is fully equipped with WiFi, which allows staff to access patron accounts remotely and allows visitors to access the Internet for the device. 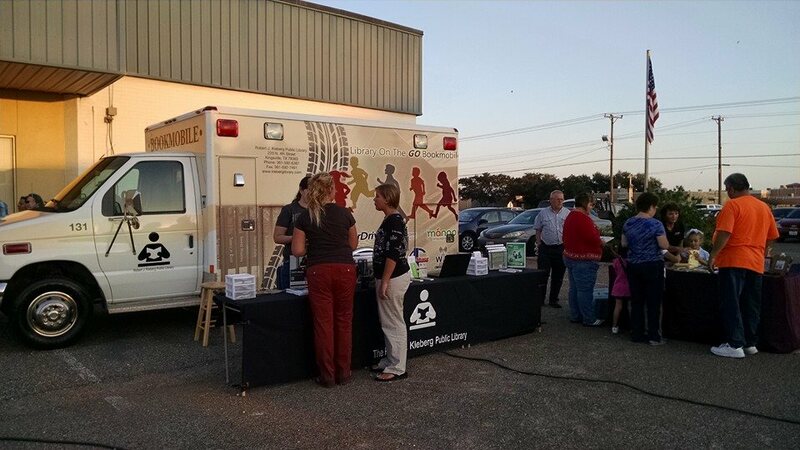 A set of floodlights on the vehicle allows staff to stay setup well into the night and the emergency marker lights cautions motorists to slow down as the vehicle approaches and crosses railroad crossings or warns visitors at events to stay clear as the vehicle pulls in or backs out of its space. 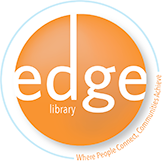 Plans in the very near future call for the already retrofitted shelving to house a small collection of library materials and allow for the installation of one public access computer. 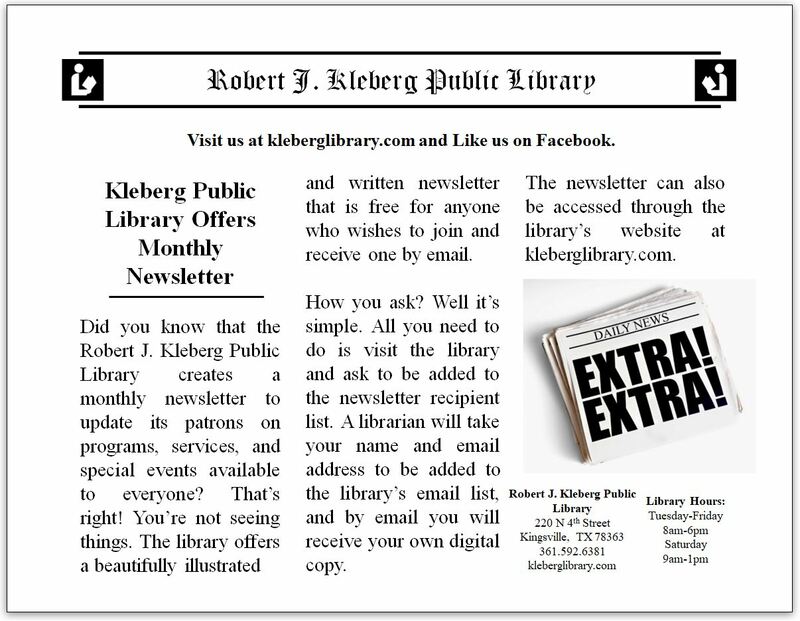 For more information, please contact the Outreach Services Librarian at 361-592-6381.